Mulberry Chronicle's Puppy Rosette Series Arrives! Dear Readers, in-house brand Mulberry Chronicles launches "Puppy Rosette" jumperskirt, skirt and accessory series today. 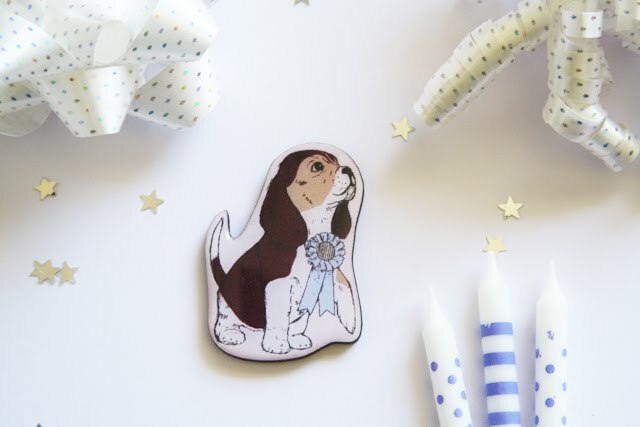 Puppy Rosette features three adorable puppies celebrating under lavender bunting and decorative rosettes! The series comes in vanilla sponge (beige), lavender confetti (lavender) and red velvet (dark red). Thankyou so much to our readers who provided us with valuable feedback. 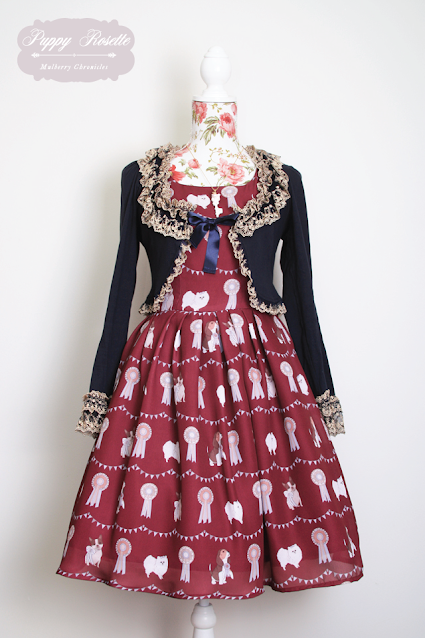 Puppy Rosette Jumperskirts in "Red Velvet" will be available in a custom size. This size accommodates up to a 120cm bust. Simply check out with the custom size in your cart and provide us with your measurements. Matching accessories featuring puppies Arthur, Pascale and Little Pom are also available as well as special surprise accessories to brighten up your collar. We hope you enjoy the Puppy Rosette series!